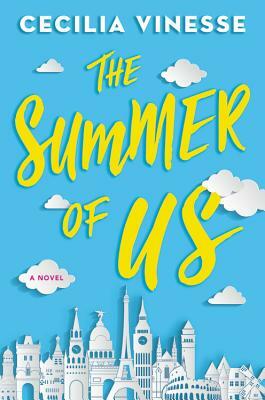 A swoon-worthy story about five best friends on a whirlwind trip through Europe, perfect for fans of Jenny Han, Stephanie Perkins, and Jennifer E. Smith. American expat Aubrey has only two weeks left in Europe before she leaves for college, and she's nowhere near ready. Good thing she and her best friend, Rae, have planned one last group trip across the continent. From Paris to Prague, they're going to explore famous museums, sip champagne in fancy restaurants, and eat as many croissants as possible with their friends Clara, Jonah, and Gabe. But when old secrets come to light, Aubrey and Rae's trip goes from a carefree adventure to a complete disaster. For starters, there's Aubrey and Gabe's unresolved history, complicated by the fact that Aubrey is dating Jonah, Gabe's best friend. And then there's Rae's hopeless crush on the effortlessly cool Clara. How is Rae supposed to admit her feelings to someone so perfect when they're moving to different sides of the world in just a few weeks? Cecilia Vinesse is a dual citizen of the US and the UK, and, like her main characters, has spent much of her life as an expat. She is a graduate of Barnard College in New York, holds a master's degree in creative writing from St. Andrews, and is the author of Seven Days of You. She currently lives in England. "Readers who enjoy art history are in for treat with this book. The story's setting takes on the part of a sixth character and gives worn tropes a fresh new spin. Older teens will relate to Rae and Aubrey as they are likely making some of the same life choices. The emotions play out perfectly with the backdrop of romantic monuments, gritty bars, and elegant cafes. Recommended for realistic fiction ­collections." "This highly readable novel about finding home and discovering oneself will have fans of Stephanie Perkins's Anna and the French Kiss swooning."